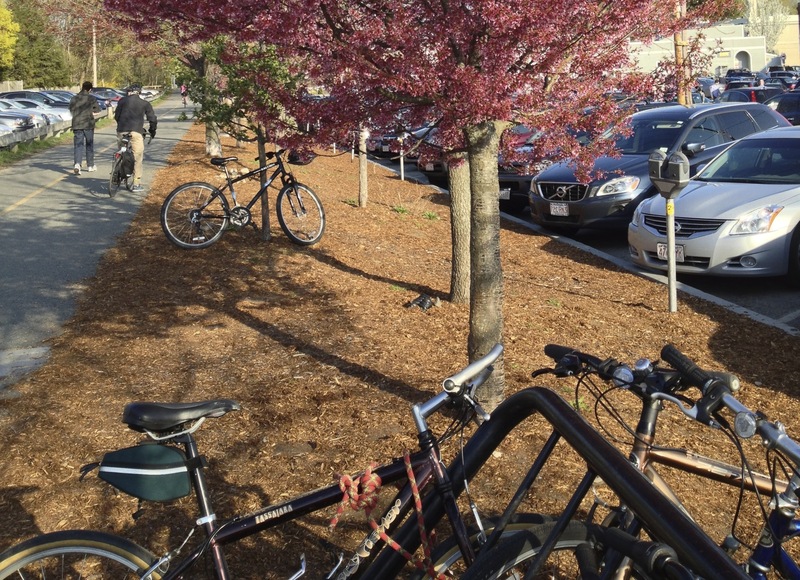 The “securing” of this bicycle to a rack off the Minuteman Bikeway I saw back in the spring of 2013 remains the most interesting approach to bicycle parking I’ve come across. The knot looks like it can easily be undone, but is that just a ruse? This entry was tagged bicycling, minuteman bikeway. Bookmark the permalink.